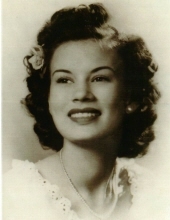 Durham- Mary Davis Byrd Parker, 92, passed away on Friday, April 12, 2019 at Croasdaile Retirement Village in Durham. She was born on April 24, 1926 in Guilford County, NC to the late Lemmie Lee Davis and Carrie Kendrick Davis. In addition to her parents, she was predeceased by her husbands, Robert Lee Byrd and John Parker; sisters, Martha Davis and Elsie Farthing; infant brothers George and Roy Davis; and her beloved granddaughter Cheryl Jones Hinton. Mrs. Parker lived most of her life in Durham. She was a member of Liberty Baptist Church and was employed by Belk-Leggett for many years as a department head. She enjoyed portrait painting, crossword puzzles, and was a talented seamstress. Her family was her joy in life. Mrs. Parker is survived by her children, Pat Stephens(Larry) of Pinnacle, Robert Byrd(Donna) of Spring, TX, Linda Jones (Rusty) of Durham, Kathy Handy (David) of Hillsborough, brother Jerry Davis (Pat) of Albermarle, nine grandchildren, thirteen great-grandchildren and numerous nieces and nephews. The family will receive friends from 12:30-1:45 on Monday, April 15 at Clements Funeral Home in Durham. A funeral service will follow at 2:00 at Clements Funeral Chapel with Larry Stephens officiating. Burial will be Tuesday, April 16 at 2:00 at Woodlawn Memorial Park. Flowers are welcome and may be sent to Clements Funeral Home. The family would like to thank and acknowledge the staff of Croasdaile Village Pavillion in Durham. She loved all who took care of her and they made her time there a happy one. To send flowers or a remembrance gift to the family of Mary Davis Parker, please visit our Tribute Store. "Email Address" would like to share the life celebration of Mary Davis Parker. Click on the "link" to go to share a favorite memory or leave a condolence message for the family.